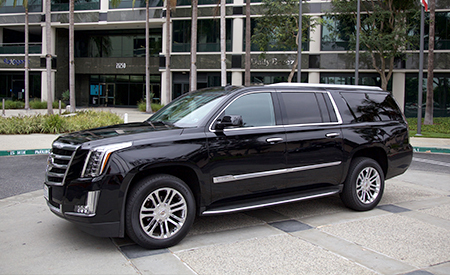 From sedans, to limousines and SUVs, we’ll work with your planning team to handle transportation of your executives, speakers, special guests, and exhibit staff. We can provide a wide range of VIP transportation services, including private shuttles to the convention center, rides to a special event, limousines or even drivers for a safe night out on the town. Getting limo service on short notice can be a hassle for your guests, so plan ahead and make sure you can accommodate the needs of your clientele. 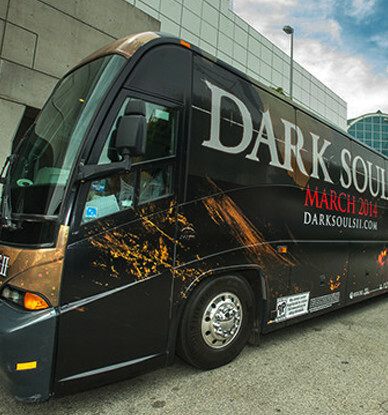 Being able to provide VIPs with their own form of transportation can go a long way towards really enhancing the overall event experience. Production Transport partners with a number of charter companies nationwide to ensure that clients are getting access to only the best, most dependable vehicles. For any requested VIP transportation services, we will evaluate your situation to choose options that we think suit you best. However, we’re always willing to work closely with you in order to determine the absolute best solution based on your requests. There is nothing that we can’t do in terms of getting things in place for your event. Here are a few examples of what you’ll have access to through our VIP transportation service. 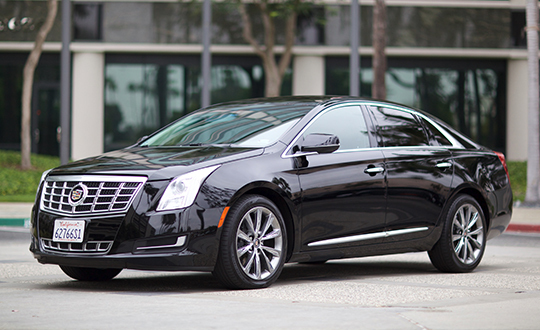 Perfect for picking up VIPs in busy destinations like airports, SUVs are easily found, safe, and can fit a slightly larger group if required, along with luggage. Great for smaller groups or a night out on the town, luxury towncars will allow your VIPs to arrive at their next engagement in style and on time. Depending on the size of your event, we can get groups of VIPs to their destination on time, and keep everything organized for your team. 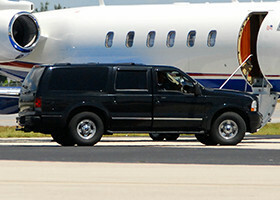 When it comes to the biggest events, you may have a team of VIPs that need to travel from A to B quickly. 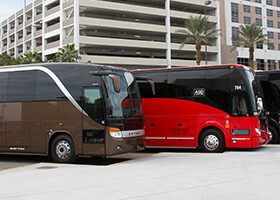 This is the perfect time for executive motorcoaches. When planning the next big event, make sure that your most important guests are taken care of. Whether you’re trying to find a sedan, or want your people to enjoy a luxury limousine, Production Transport will ensure the best VIP transportation experience possible before, during, and after the event. We’ll help arrange any sort of transfer schedule, which means you can focus on the bigger picture and we’ll do what we do best in planning all transportation details. Our success over the years is not only due to our quality of work, but also our ability to provide real client satisfaction from beginning to end. We understand your VIPs and what they mean to you. With that knowledge, we are able to meet your guests specific needs time and time again. Whether your guests are arriving on commercial air or via private aircraft, we’ll have a team member in place ready to pick them up. We can provide your VIPs a chance to simply, sit back, relax and let our experts take care of the rest in a VIP limo or other luxury vehicle. Our dedication to your event goes beyond what a limo company can offer, since we provide a full slate of transportation services including mass shuttle coordination, golf cart shuttles, and exhibitor sponsorship opportunities. 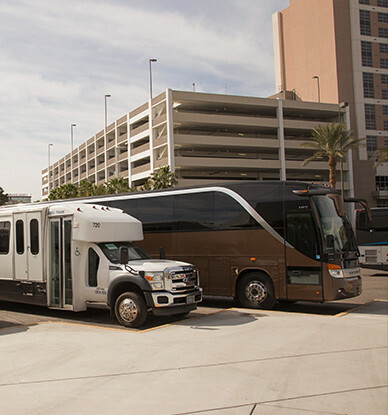 Because we will typically begin planning for your event a year in advance, we’re able to carefully prepare each aspect, making sure that no single detail gets overlooked in creating your customized transportation program. The cornerstone of any large tradeshow or convention, providing reliable, safe, and efficient shuttle service is what we do best. Do you have an event for 1,000 attendees? We can handle it. Do you have an event with over 100,000 employees? That’s not an issue either. We have worked in all of the the major event destinations around the country, and know how to procure the vehicles, map out the routes, and coordinate with local officials such as the Police Department and the Convention and Visitors Bureau. 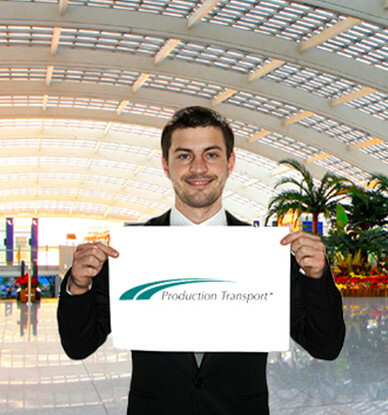 Even if you don’t have VIPs who need airport pick up, we’ll still coordinate a rigorous, airport transport program for any attendees who are flying in to attend. Our team will set up easy to identify meet and greet stations at various terminals throughout the airport, and our drivers will be ready to go. We can set it up so that shuttles or limousine service will run throughout each day of the event, ensuring that your guests can get to and from the the venue or the hotel to the airport on time and without hassle. Since your event will have plenty of guests taking shuttles to and from the airport, the convention center, or the hotel, you can use vehicle wraps for exhibitor sponsorship and advertising. The most eye-catching option for this opportunity is a full shuttle wrap, which allows a company or sponsor to put a wrap that is full height on both sides, rear, and front of the shuttle. 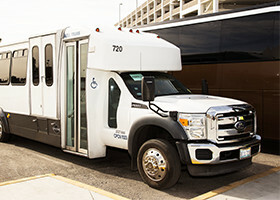 In a city like Las Vegas, the shuttles will be driving up and down the strip throughout the day, advertising the product for thousands to see. 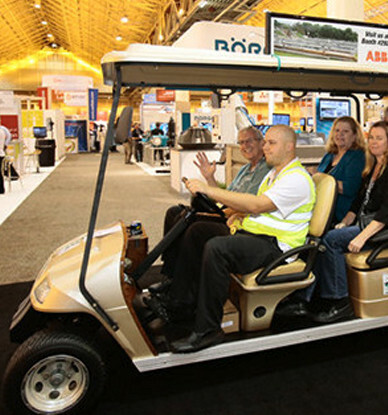 When it comes to designing your transportation program, we can set up golf cart shuttle routes both inside the exhibition halls and around the exterior. Some of these venues are hundreds of thousands of square feet in size, and guests will need to move quickly between various points. The shuttles are available to any of your guests, not just a select few. An attendee simply needs to wave down the driver along any of the pre-designated paths, and they’ll get a safe and fun trip to their destination.